Traditional step in the Andelle Valley, Andelle hostel is pleased to welcome you every day of the week except Tuesday evening and to present its menus created by our chef largely inspired by the flavors time and terroir. 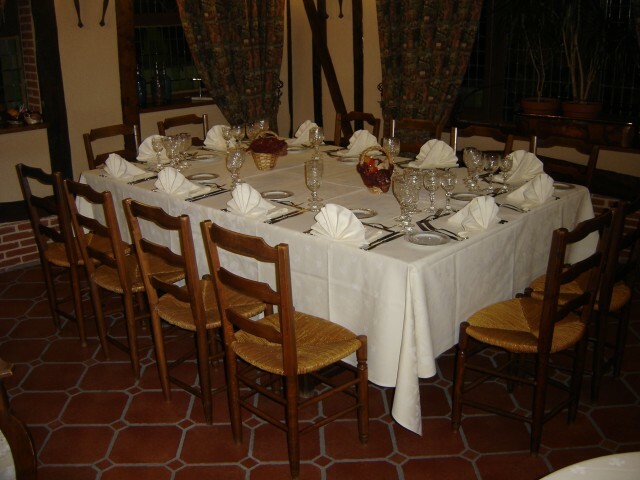 Our restaurant, in typical Norman style with a fireplace, in a large room on the ground floor and three private dining rooms upstairs for meals with family or seminars. A formula Bistrot is served for lunch Monday to Friday for budget travelers, but you can also enjoy our Lobster menu is the specialty of the house.